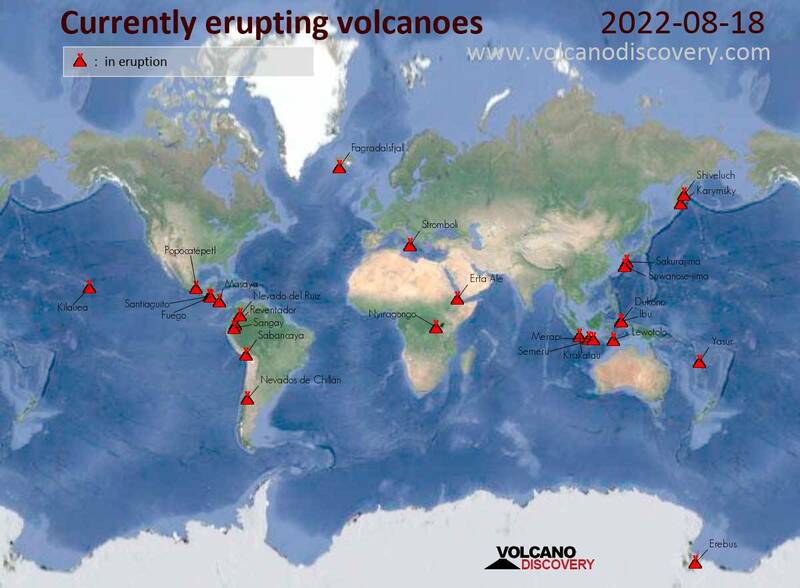 After its re-awakening 3 days ago, a strong explosion occurred from the volcano yesterday at 13:50 local time and produced a plume that rose to approx. 30,000 ft (9 km) altitude and drifted SE. 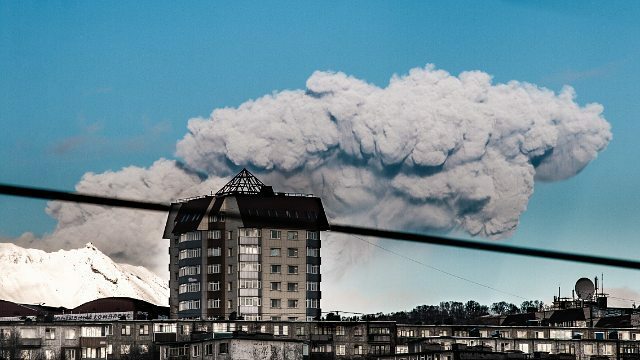 It was clearly visible even from the capital Petropavlovsk.